…with Liberty and justice for all. Just a short post to wish one of the most fabulous department stores in the world a very Happy Birthday. Liberty is 138 years old today! 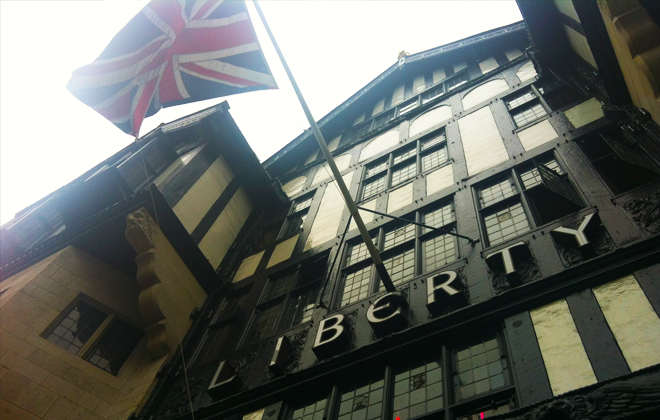 There are many reasons for me to talk about Liberty whether it be for it’s historic facade and architecture, fabrics, or its frequent collaborations with designers with a tradition for handcrafted work. But for today, I will just help them blow out some birthday candles which is best done by eating a piece of cake and having a “cuppa” on this cold, wet day here in London.